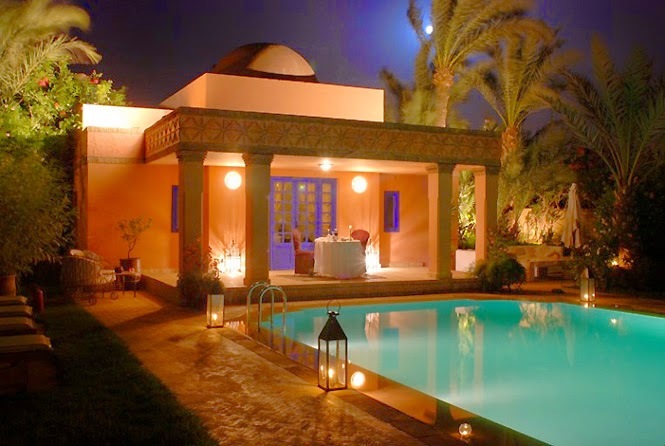 Great Marrakech luxury riads and design villas for rent are waiting for you in the fascinating Morocco. Book a luxury riad or villa and spend unforgettable holidays near the foothills of the Atlas Mountains in the cultural, religious and trading centre of the North Africa. Plunge into the magnificent world, full of marvelous luxurious Arabic palaces and green gardens, rich ‘souks’ and ‘bazaars’, preserving the traditional Moroccan spirit in the authentic part of the city, Medina. We invite you to visit our webpage http://www.amarantelva.com.